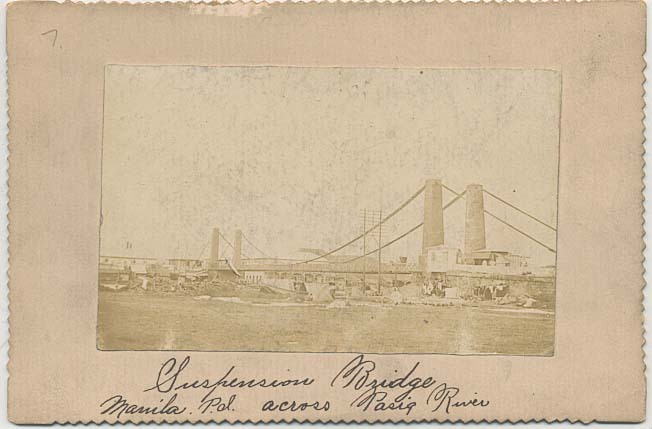 Description: Suspension bridge in Manila, Philippine Islands, across Pasig River. Historical Note: Philippine-American War (ca. 1899-1902).